Since 1987, The Ortiz Academy has been among the most popular schools in New York State. If you're looking for fitness and weight loss, stress reduction, self-defense or just enjoyment we have a program for you. 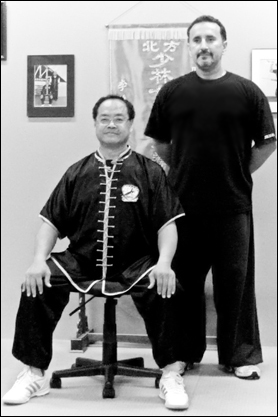 We offer adult programs in Mantis Kung Fu, Women's Self Defense, Men’s Self Defense and more. Our children’s martial arts classes are among the best in the country, helping kids gain focus, self-discipline, confidence, respect and strong leadership skills while also learning how to avoid being bullied and developing a great positive attitude. Both adults and children will learn important skills while having a great workout at the same time. Kung Fu teaching emphasizes moral development as well as physical training, stressing values like respect, courage, tolerance, and reverence for life. The very nature of Kung Fu training is a long process of character building. Wholesome qualities like endurance, perseverance, discipline, loyalty, and a calm disposition are prerequisites for progress, especially at higher levels. All these qualities, acquired through Kung Fu training, are transferable to daily life. The Ortiz Academy is the New York State Headquarters of the Seven Star Mantis Style under Grandmaster Lee Kam Wing. For more information or to send us a message please use the form on our contact page.